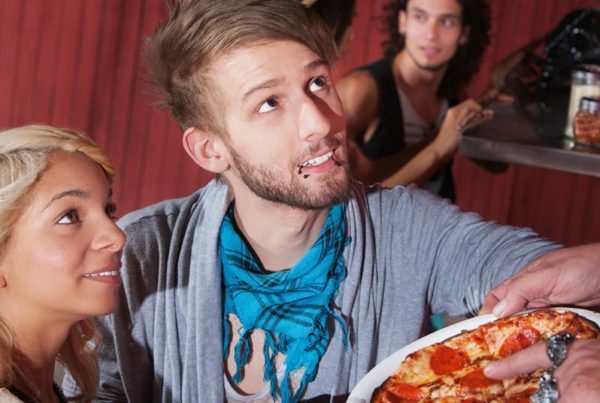 An increasingly popular trend in catering is self-serve food bars. 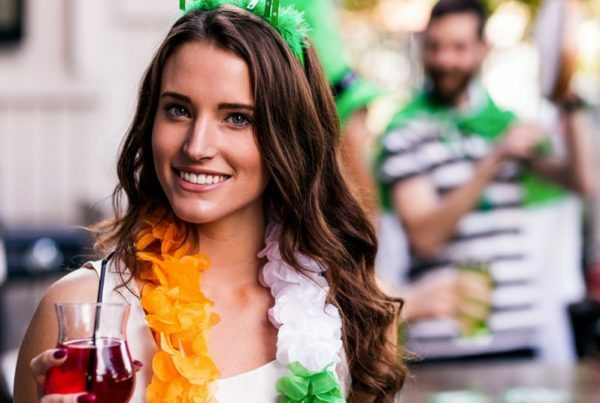 This phenomenon is attractive for a couple of different reasons – not only is it an interesting and unique twist on catered events, it also allows guests a level of flexibility that cannot be offered in conventional catering. On top of that, it affords guests the opportunity to be more social and promotes a sense of community. 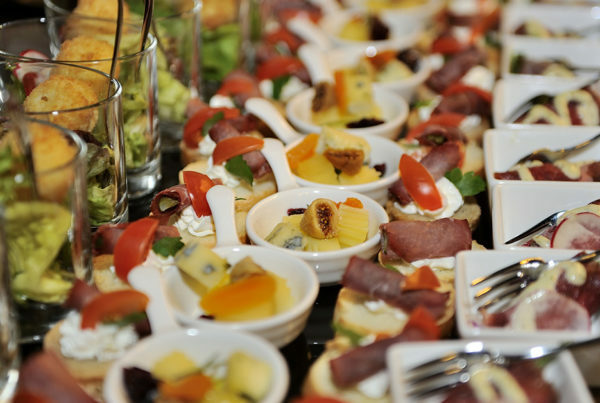 On the catering side, it makes your job easier, as you can focus on other tasks rather than serving food. Clearly, a food bar offers many advantages; the question is, how do you theme it? If you need some fresh ideas for a fun food bar, read on for our suggestions. An omelette bar is a perfect food bar for a catered morning event. This filling favorite can be served in so many different ways that it lends itself well to self-serve stations. 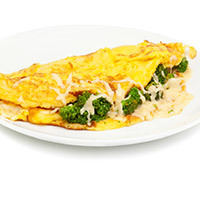 For your omelette bar, make sure to offer a plethora of options in order to cater to a variety of preferences. Make sure you have a lot of eggs as this is obviously the most important ingredient! Additionally, offer a selection of a few different shredded cheeses, such as cheddar, swiss, and pepper jack. Additionally, offer a few different meats, like bacon, sausage, ham, and chicken. Don’t forget many veggies to accommodate meat lovers and vegetarians alike; spinach, mushrooms, green peppers, tomatoes, and onions are must haves! Finally finish with some spices and herbs for added flavor, such as salt, pepper, basil, chives, and thyme. Potatoes are a crowd pleaser, but there are so many different ways to eat them that everyone has a different potato preference. A potato bar makes it so you can have your potato and eat it too! Include a selection of different potato styles, including baked potatoes, French fries, mashed potatoes, potato chips, hash browns, and potato wedges. 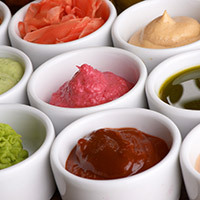 Include a variety of condiments and toppings, including ketchup, mayo, cheese, bacon bits, sour cream, and chives. Anything that tastes delicious with potatoes will be sure to have guests raving! The best part of those giant soft pretzels is that they are tasty whether they are topped with savory or sweet treats. For your pretzel bar, you can have a sweet and savory side. Pretzels add a salty taste to a plethora of dessert flavors, so load your pretzel bar with chocolate syrup, jam, whipped cream, peanut butter, and caramel topping. Don’t forget some awesome toppings for your guests, such as chocolate chips, coconut flakes, bananas, strawberries, M&Ms, marshmallows, or nuts to please the sweet teeth. Pretzels are also delicious with many different savory flavors, so don’t neglect that side of the table. Include a few different types of mustard such as spicy and plain yellow, as well as a cheese dip, some deli meats, or even marinara sauce for a pretzel/pizza flavor. This is only a drop in the bucket in terms of delicious food bars you can provide at your next event, so read our next blog for more ideas! If you need chafing stands for your next catering event, The WindBlocker is your best bet for success. Try our innovative chafing stands and be amazed at how well they block out wind and keep food warmer for longer. Shop now!